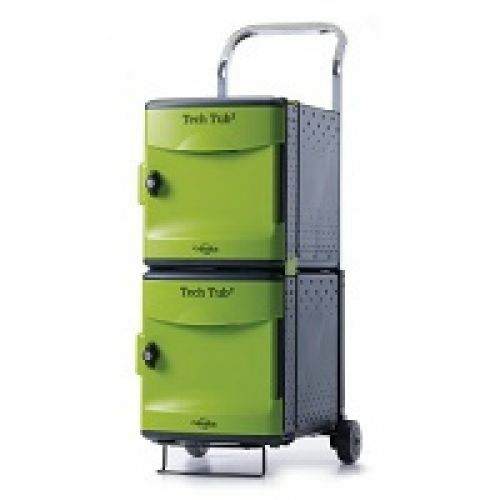 Ideal for transporting small quantities of devices. 10 port syncing USB hub for iPads. Adjustable handle. Durable 3" casters. Lifetime tub warranty, 5-year frame warranty, and 1-year power strip warranty. 353⁄4"H x 14-3⁄4"W x 19-1⁄2"D.